It maybe two weeks away till Mum’s big birthday but the celebrations have begun. 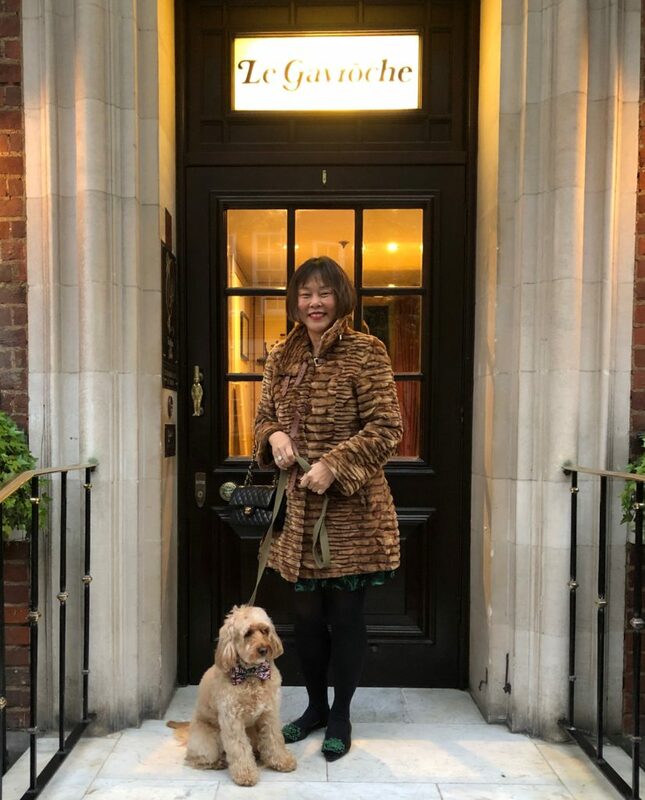 They had organised dinner at one of Mum’s favourite places – at Le Gavroche before the hoomans and pooches all scattered for the Easter holidays. 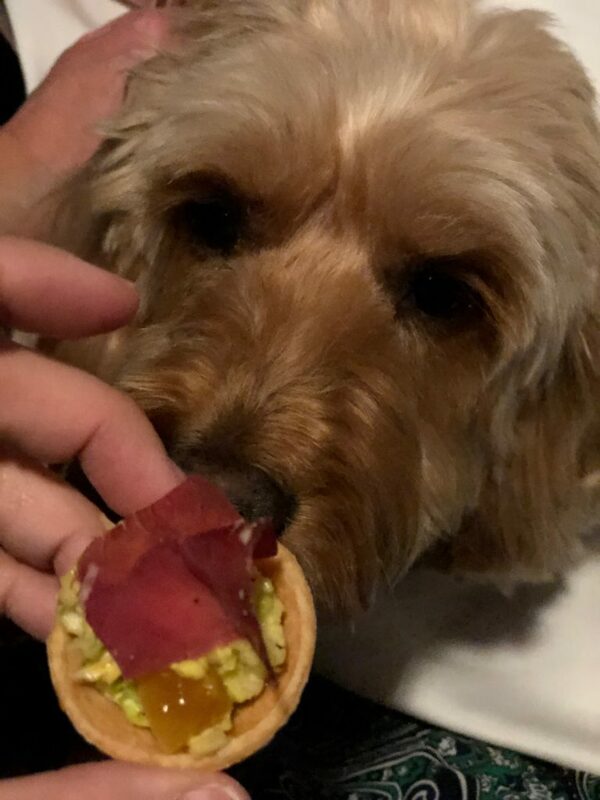 What’s special about the gathering was not just because it was Mum’s birthday but that all the hoomans met through us, cockapoos. 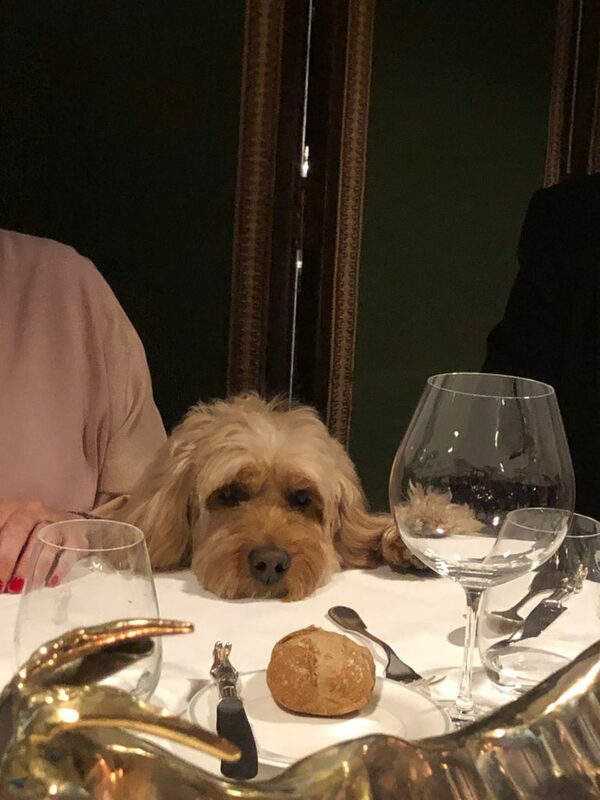 And though Le Gavroche is dog friendly, not sure if they wanted eight cockapoos in the restaurant. So it was decided that I got to go because it was Mum’s special night. Lucky me. 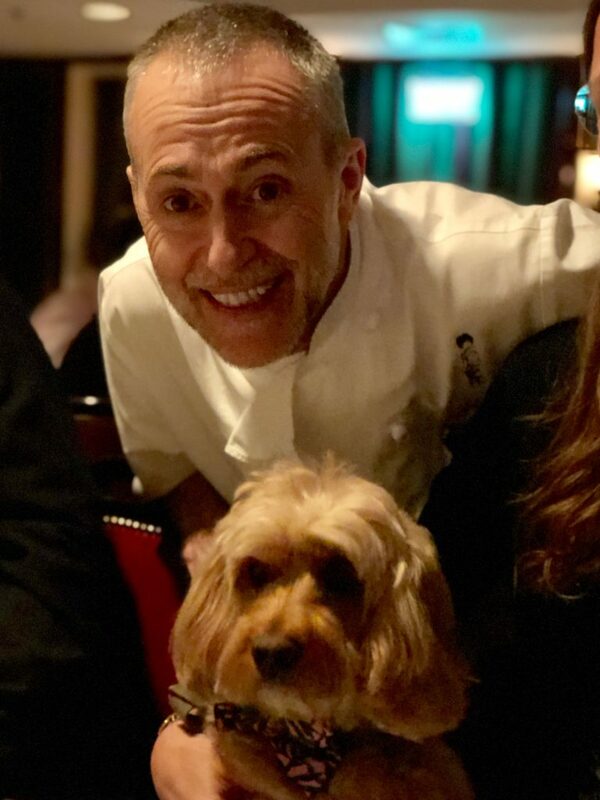 I had my photo taken with Michel Roux Jr.! I got to meet the famous twins – Ursula and Sylvia. 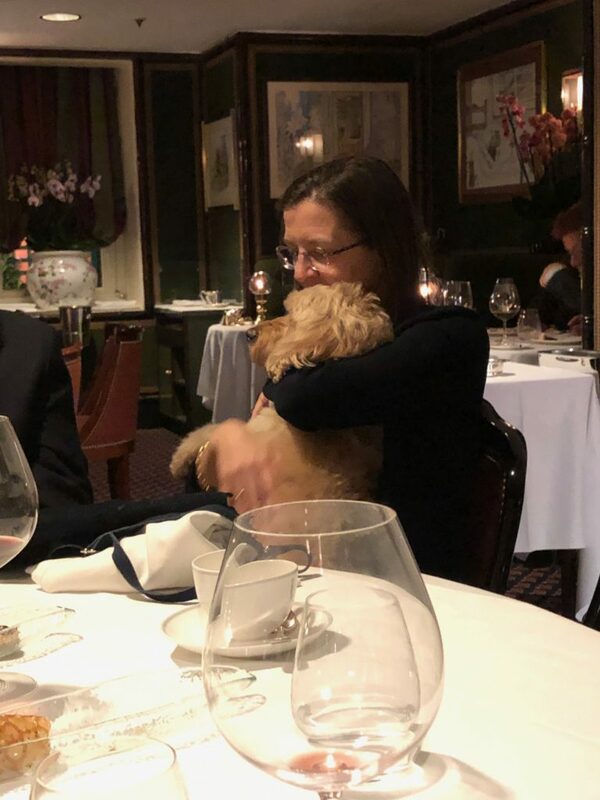 Being the only pooch, I got hugs from everyone around the table – because they were missing theirs. 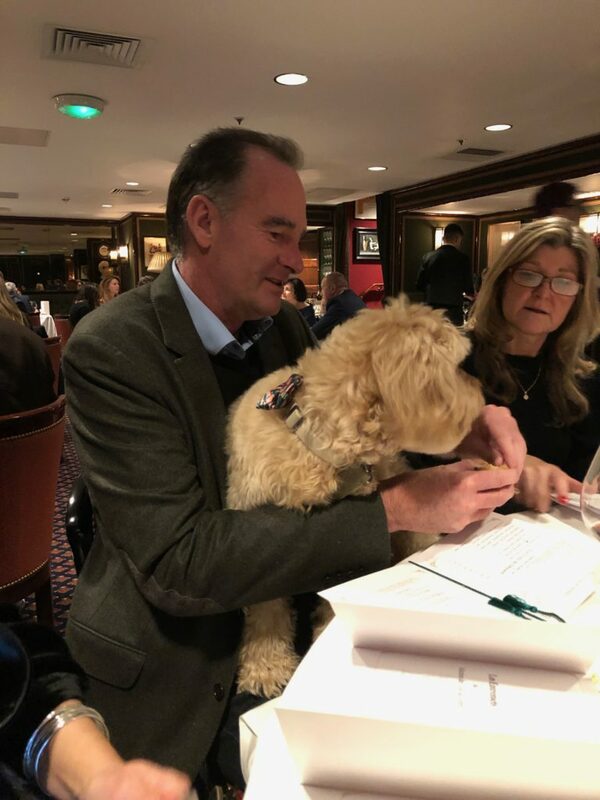 Paul giving me a cuddle – and some bread! And meet Freddie’s funny daddy! 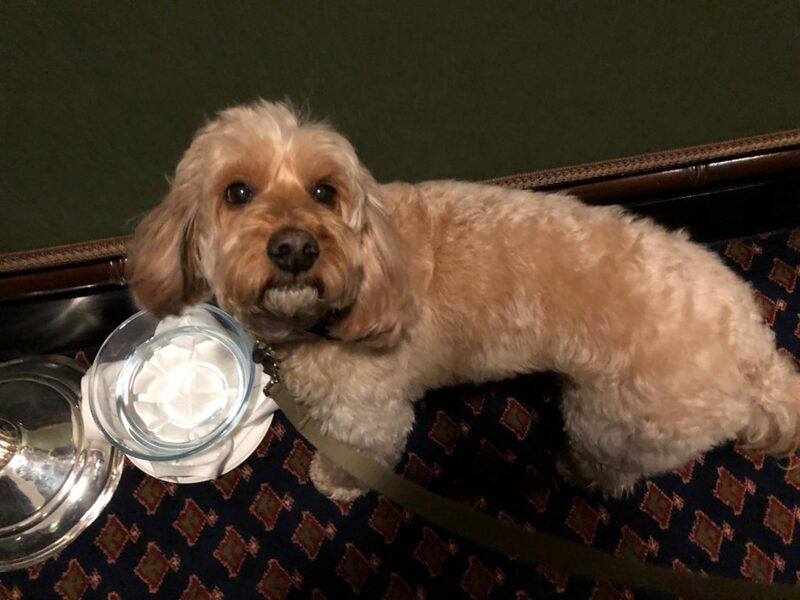 They brought me my own bowl of water. 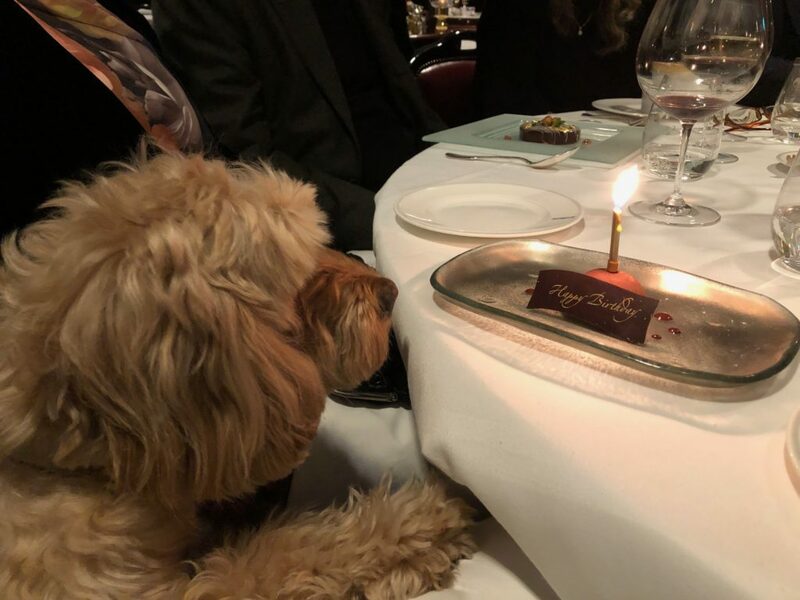 I was really quite focused on the food on the table – hoping that by the power of concentration that it would come towards me. Alas not. I kept peeping from under the tablecloth to see what else might come my way. And the reason why we were there celebrating! May’s comment: It was a lovely evening all around. Good food, good friends at a special place. All the friends around the dinner table have cockapoos – and the connection was made through them. We first met Lisa and Paul one beautiful Spring afternoon more than four years ago when sitting outside Peggy Porschen on Elizabeth Street when I saw them walking past with two black cockapoos – Mac and Maisie. We invited them to our Hyde Park Meet. 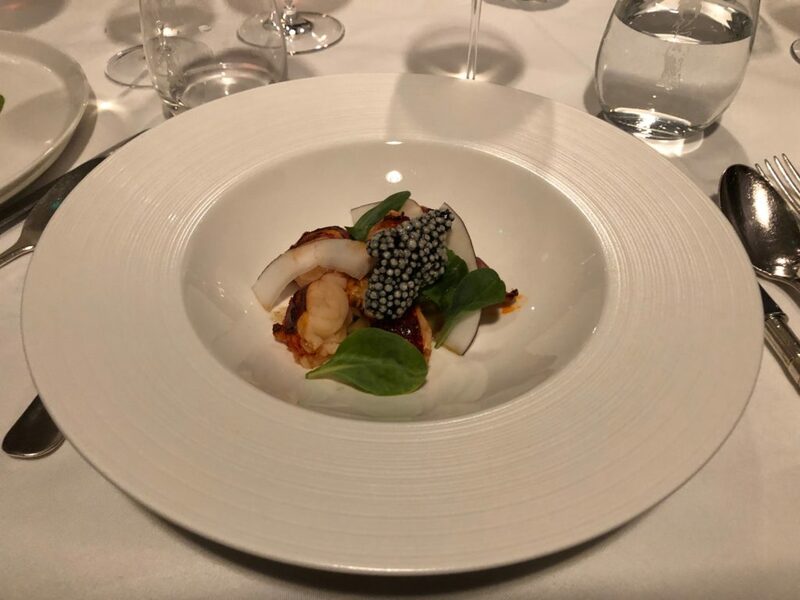 Sam commented on our blog about being at The Olive Branch in Rutland, near where she lives – and before you know it, we met up at Hambleton Hall on our next visit. We got to know Sam’s Lola and her daddy. 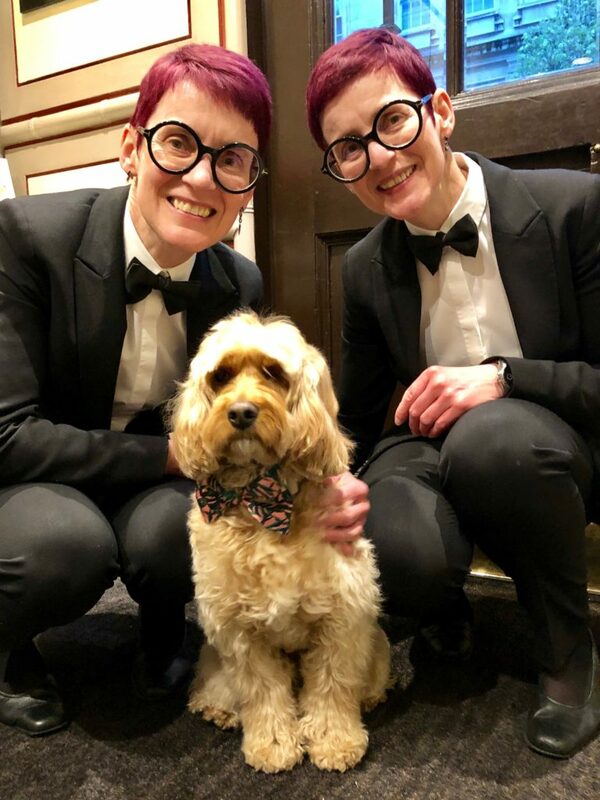 Julie and Barnaby saw that we were posting the same photos on our Instagram and realised we live quite close by to each other – and reached out to us. Through them we met Belinda and Freddie. 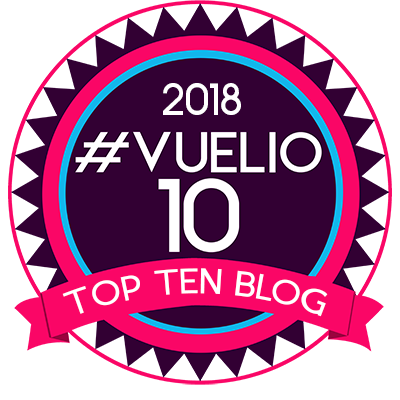 And though Loesje read our blogs, she lives in Bristol and would never have been in contact if not for the fact that her Coco is Barnaby’s sister. 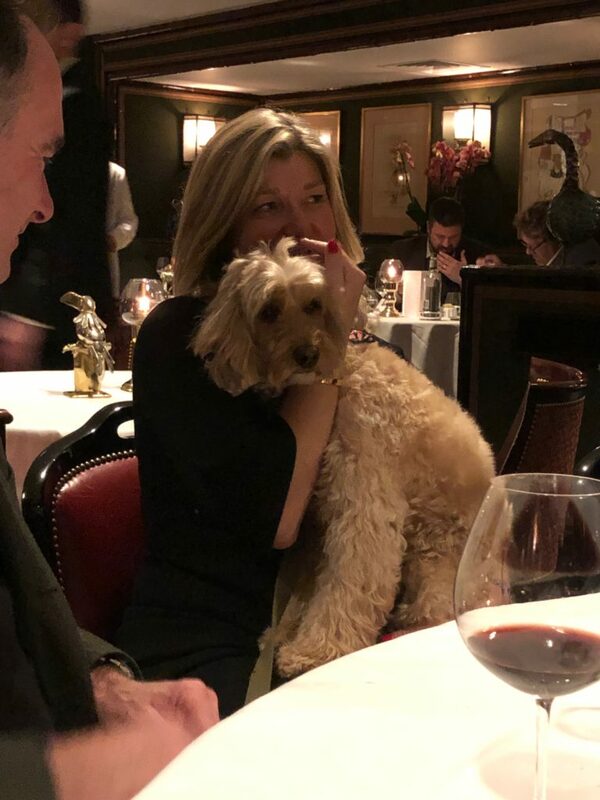 Through the love of our dogs and our collective love for fine dining, my birthday was just an excuse for us to convene at a place we all wanted to dine at. 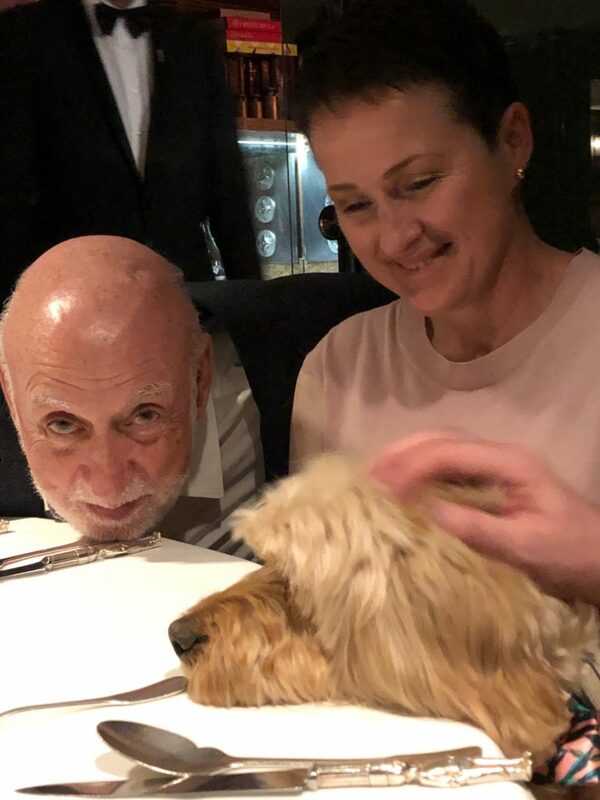 Thank you Belinda and Eddie, Julie and Anthony, Lisa and Paul, Loesje and Rob, Sam and Tony – for a most lovely evening – and for starting off the year long birthday celebrations! 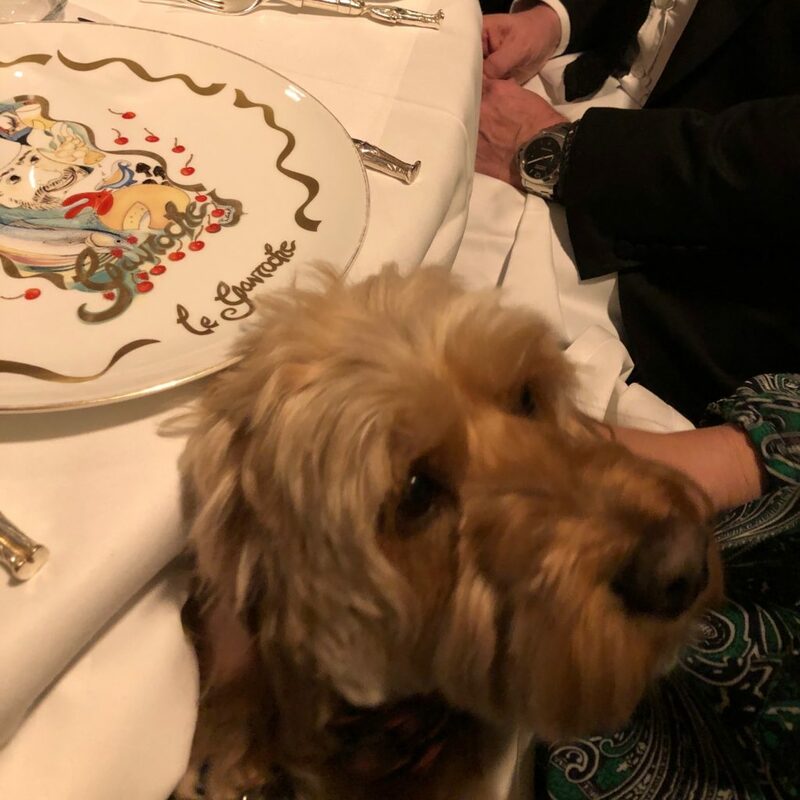 Le Gavroche permits dogs in the restaurant but you must call ahead and inform them. They have to be small dogs due to the space. 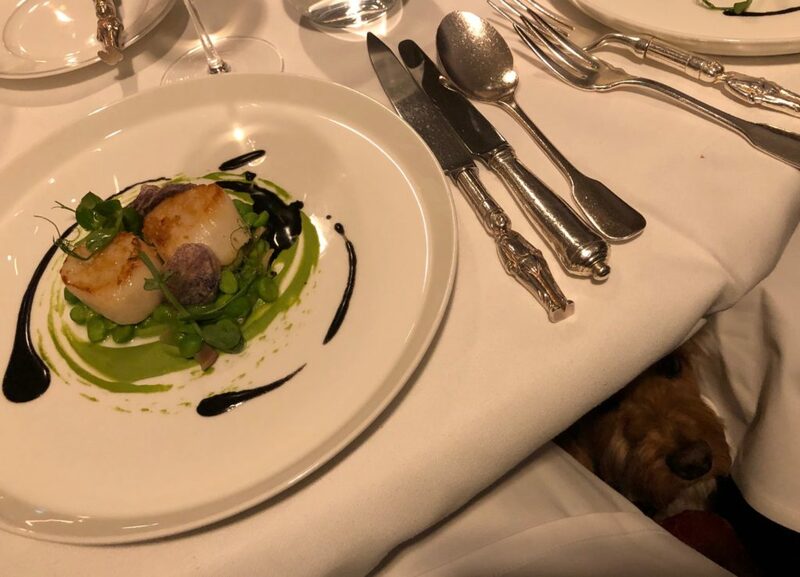 They must be able to sit under the table – and behave. Happy big birthday to come. Since it is a great looking restaurant, I went to its web site. 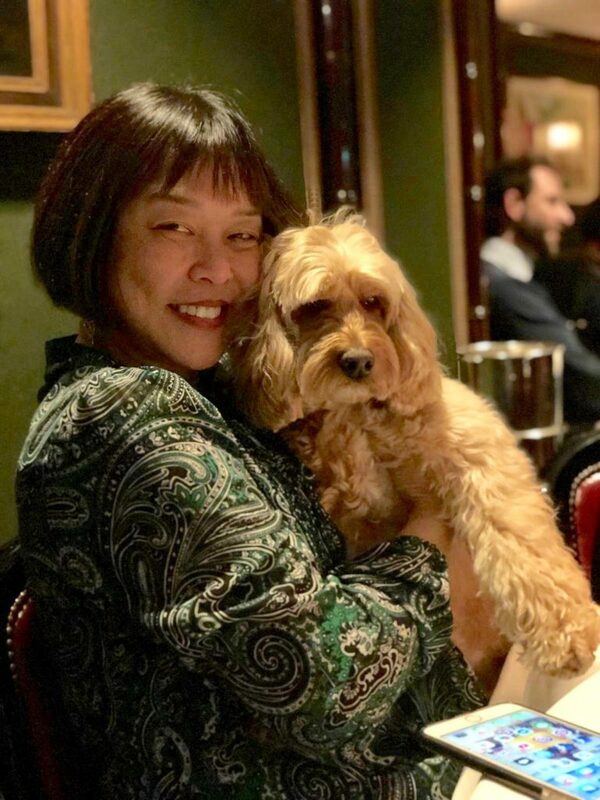 Wow–Great and unusual (for New York City restaurants, and I’ve been to many of the top restaurants here–including French) food selections. I’d certainly like to dine at Le Gavroche. Those NYC restaurants would not allow dogs inside. 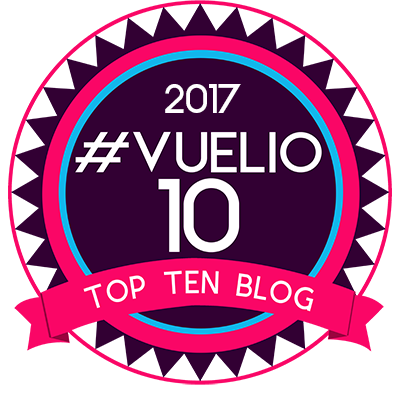 I recall you mentioning a while ago that you might be visiting the U.S. this spring. Visit still on? Happy Birthday, May! It was neat to hear how you and Darcy met all your friends and doodles! Your birthday party looked wonderful! Birthday in two weeks. Planning to be in NY in early May. Just sorting things out.